Plot: A woman abandons her child to live a carefree life in France. Years later, after she has become a bored Countess and can see the errors of her past, she meets her daughter on the French Riviera and tries to save her from the same fate. Following the tremendous success of Madame Sans Gene, Swanson returned to Hollywood and was reunited with Allan Dwan for her next film. She was very excited about the prospect of playing a dual role (she plays both the mother and the daughter in The Coast of Folly) and made a decision to carefully choose her roles from here on out and to select only film parts that presented a challenge for her. The critical reviews for her previous films had already pointed out that her acting had improved tremendously from her earlier days. The Coast of Folly was, not surprisingly, a great success. 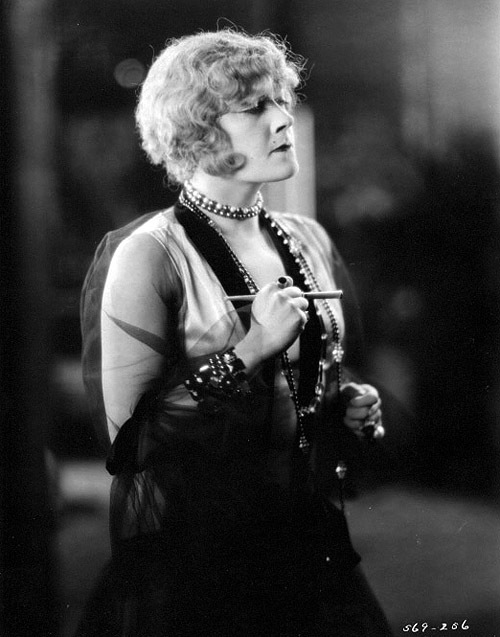 Gloria had not played a modern girl since Manhandled and audiences and critics were crazy about the film and they were impressed with her portrayal of the older Countess. With Allan Dwan as her director and Forrest Halsey as screenwriter, Gloria seemed to have found the magic team and she was now making the best films of her career.